Dental implants can change your life. You would be surprised how much a person’s face, and how they view it, can affect their confidence, their happiness and how the world sees them. And while dental implants may seem like a pain to have installed, it can all be done without having to see multiple specialists or visit a half-dozen offices. Virtually any kind of dental implants can be done by the same person in the same office with minimal hassle. From consultation to diagnosis to procedure and after-care, you will only have to visit one dental office and work with one orthodontist. This saves you travel time and frustration, time spent trying to navigate health insurance referrals and bureaucracy and the process of learning a new orthodontist and filling out all the paperwork. Instead, go for a dentist who can get everything done all in one location. There is no need to see a specialist. Losing a tooth can be a nightmare. How a person feels is often directly related to how they look, and a sudden change in facial structure can lead to issues like depression and lowered self-esteem. Dental implants, however, can replace a lost tooth and restore appearance and function. Unlike dentures, a dental implant actually anchors into the jawbone itself. This post is then fitted with a crown that resembles the lost tooth, which is usually made of ceramic, porcelain or even metal coated with tooth-like materials for extra strength. First, the orthodontist determines if the bone is strong enough to anchor the implanted post. If there is significant bone deterioration, it may require bone grafts (which is bone pulled from another location). When that has healed (which takes anywhere from weeks to months), the post is then implanted. Again, the healing process for that can take some time, after which the crown is attached. Because dental implants often require a few visits, the idea of visiting a dentist, then a specialist (multiple times), is daunting. Instead, choose the dentist who can do all of these in the same office. Edentulous (or missing all teeth) patients often feel like they have a hard road ahead. Full dentures can be extremely uncomfortable. They slip when eating; they chafe and damage the gums. They have to be taken and out and cleaned, stored properly and can only function with certain kinds of food. This can be frustrating and demoralizing. However, edentulous patients can benefit greatly from hybrid dentures. Hybrid dentures, unlike standard dentures, are actually fixed into the mouth with implanted bars. 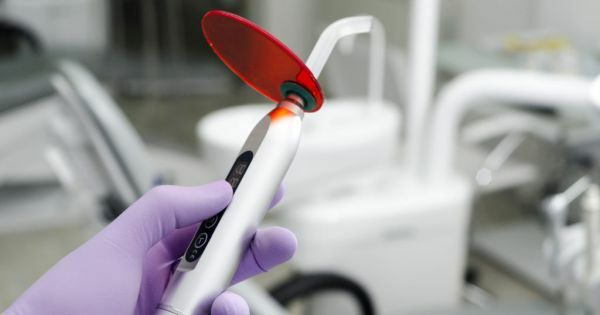 These implants allow the patient to eat a much wider range of foods and to brush their dentures like they would normal teeth, avoid damage to the gums from shifting and avoid the use of irritating adhesive compounds. Insufficient bone structure in the jaw or in the upper mandible (or maxilla) can prevent implants from being installed. For patients missing most or all their teeth, this can be heartbreaking. However, it is possible to increase the bone density and strength of the existing areas, which can allow dental implants in the future. Bone grafts use either a bone from another part of the body or a compatible synthetic bone substitute to expand the existing bone base in the jaw. It is most frequently used when the bone in the area is too soft, too brittle or simply not thick enough to retain the implant post. How soon between bone graft and implantation depends on the patient; it can sometimes take weeks for the bone graft to set and be strong enough for an implant, or it can sometimes hold an implant right away. A sinus lift is similar to a bone graft in many respects but is contained solely to the maxilla, the upper half of the jaw that does not move. Sinuses can sometimes be too close to the bone in the upper part of the mouth, which prevents implants in the top of the mouth. A sinus lift adds bone (or synthetic bone) to the maxilla and moves the sinuses higher to prevent infiltration. If the patient or their dentist notices a damaged implant, it is simply easier to just get it repaired right there without having to seek out a specialist. Implants, like regular teeth, are extremely strong. However, like regular teeth and anything in life, they can break through impact, age or just bad luck. 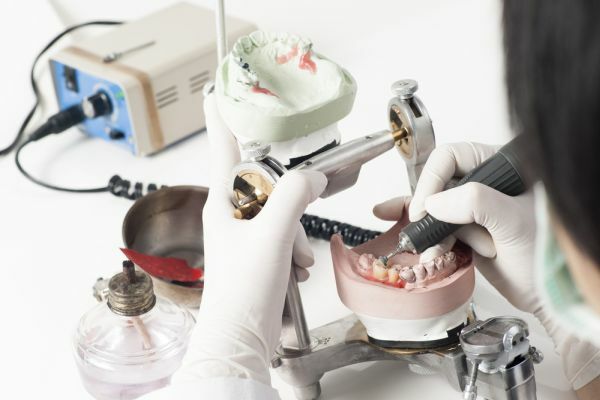 When that happens, restoration procedures can either repair things like cracks or do a full replacement for crowns or dentures that have taken too hard of a beating. When it comes to loose implant posts, it could be a number of issues. If the bone was too soft, the implant may have worked its way out of its moorings. While there are restoration options for loose posts, they often require a complete replacement and possibly even a bone graft to strengthen the area. Save yourself the trouble and hassle of multiple visits with multiple orthodontists. We offer all-in-one dental implant procedures, the kind that would normally require trips to a specialist or a consultation. Whether you are missing just one tooth or are completely edentulous, there is an implant procedure that should be able to restore your smile to its old confidence and luster. Are you considering dental implants in the Red Bluff area? Get more dental implants information at https://www.drelloway.com/contact-us/.